Train to become a salon ready nail tehnician with this FULL NVQ qualification awarded by VTCT. You can complete your practical training at our training centre whilst completing your studies and practice at home ! 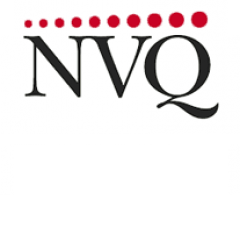 The VTCT Level 2 NVQ Diploma in Nail Services (QCF) is a substantial vocational qualification for learners seeking a career as an employed and/or self-employed nail technician. This qualification is based on the nail services National Occupational Standards (NOS) and is recognised by the UK's leading professional bodies (The British Association of Beauty Therapy and Cosmetology (BABTAC) and the Federation of Holistic Therapists (FHT)) as being fit for purpose for preparing learners for a career as a junior nail technician. You will then be contacted by a member of our team to arrange an induction to provide you with your workbooks so you can get started straight away. Once you have completed your pratical training days, your workbooks and home practice you will then be ready to book your assessments ! Our SurePass team are on hand should you need any support in completing your training. You have up to 18 months to complete your NVQ. EXISTING STUDENT OFFER: If you have previously trained with SurePass on one of the units included you will be entitled to a reduced price ! (Save up to £250!) Contact a SurePass NVQ adviser now to discuss ! Following each instalment, you are able to book another course of your choice. Month 6 - Payment of £140 - You will be able to submit your portfolio for assessment & book your final written/practical assessment days !